© 2007-11 Glasshouse Bushwalkers Club Inc. The club has two walks per month usually the middle and ends of each month except over Christmas. Long weekends are taken advantage of to go further afield. Club trips of extended stays are also planned from time to time. The club generally walks in areas in the Sunshine Coast and hinterland, including the Glasshouse Mountains. On occasion walks that are further afield, usually on long weekends, are undertaken anywhere in South-East Queensland. One week every year, the club ventures further out visiting places that are at least a day’s drive away. 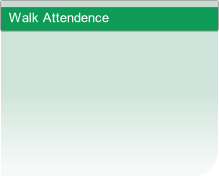 To notify of your attendance to a walk, please contact the trip leader as mentioned in the newsletter on the Wednesday prior to the walk. The club is reviewing the grading system, but the following is currently in use. The walks are graded depicting the difficulty of the walk, the type of terrain, and the distance. The following table is a guide to the grading. The grade is listed on the walk in three characters. The first represents the distance, the next character represents the terrain, and the last character represents the required fitness for the walk. An example of this grading is S21. This means that the walk is less than 10 km in length, on a graded track with some hill, and is suitable for a beginner. Every walk has at least one trip leader, who has the ultimate control of the walk. The trip leader can refuse people from going on a walk, if it is deemed too unsafe for their participation.